As part of our ongoing commitment to customer satisfaction, we offer a full guarantee on our products, even ones custom made just for you! Shopping over the internet is fun and often easier than in stores, but does have some limitations, chiefly not being able to actually see and touch the merchandise. We want you to be happy with your purchase and if for any reason the lights, fans or accessories do not meet with your approval, simply send them back insured in their original box with all the parts in "like new" condition, including the boxes, and in resalable condition for credit. There is a 25% restocking charge on all merchandise to cover the initial shipping charges to send the order. 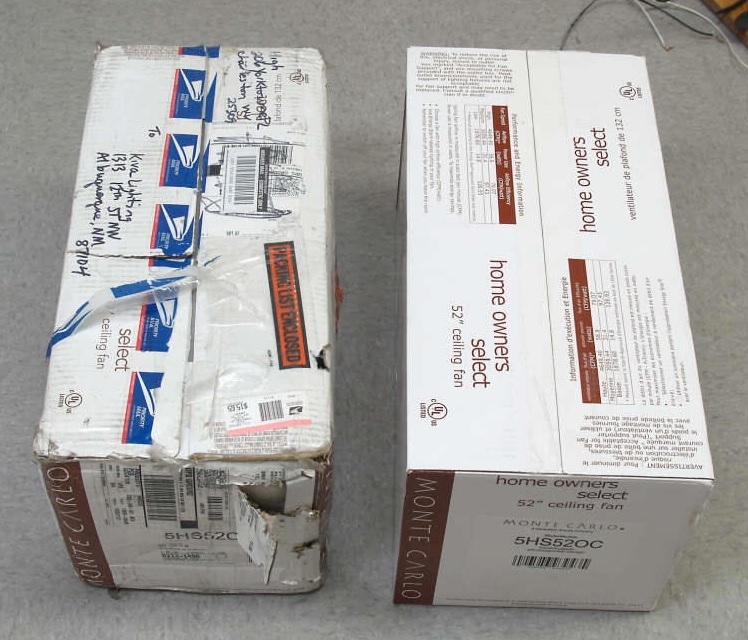 Please be aware that if the cardboard boxes arrive too damaged for us to reship the products, we will not be able to provide a credit and you will have to file a claim with your shipping company. Ceiling fans and chandeliers cannot have been installed as we cannot sell them once the wires have been cut. Missing or damaged parts will be charged a restocking fee equal to the cost to return them to like new condition. We highly recommend double boxing the products to prevent any damage to both the items and the boxes. Any damage will be the sender's responsibility. Compare this to most lighting and even big Depot stores that will not take back custom order items at all, and you can see how confident you will be in the quality and value of our products.